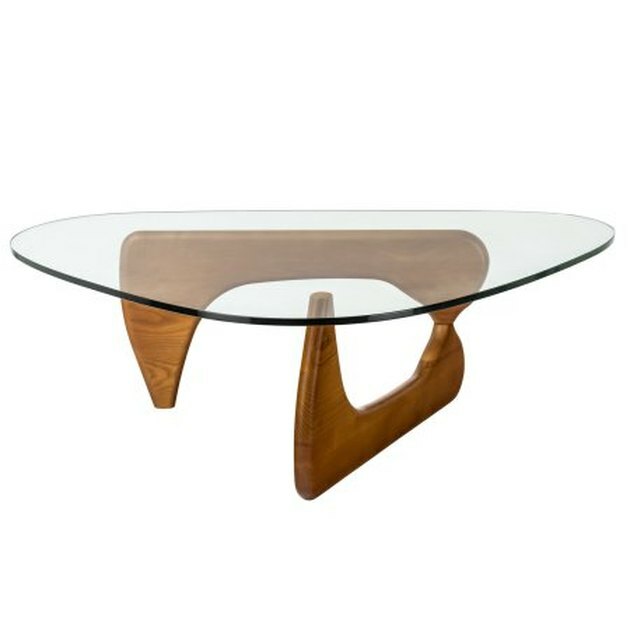 A large, light wood coffee table like this one is a great midcentury starter piece. It's simple, sleek, and unobtrusive and will let the rest of the decor in your place shine. 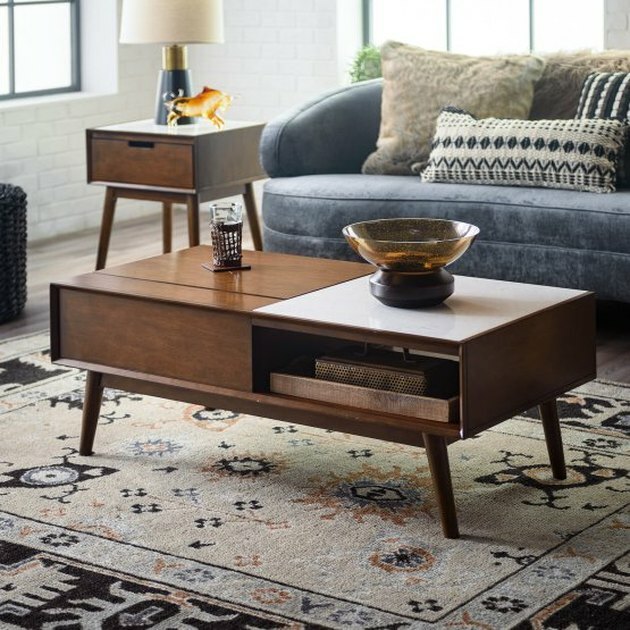 This large coffee table has a giant surface area, plus the two open shelves and drawers provide significantly more storage than the average centerpiece table. When it comes to midcentury construction, this is a classic shape and size. 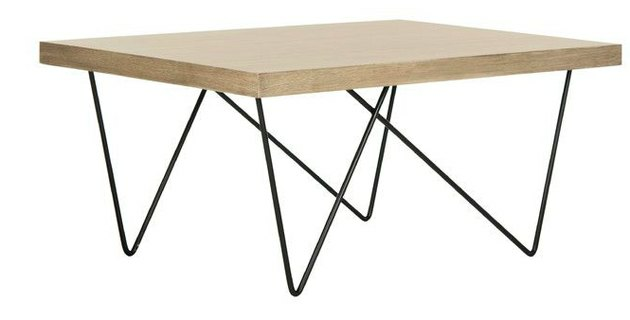 This asymmetric table with its slender iron legs is a unique and artsy take on the trend. 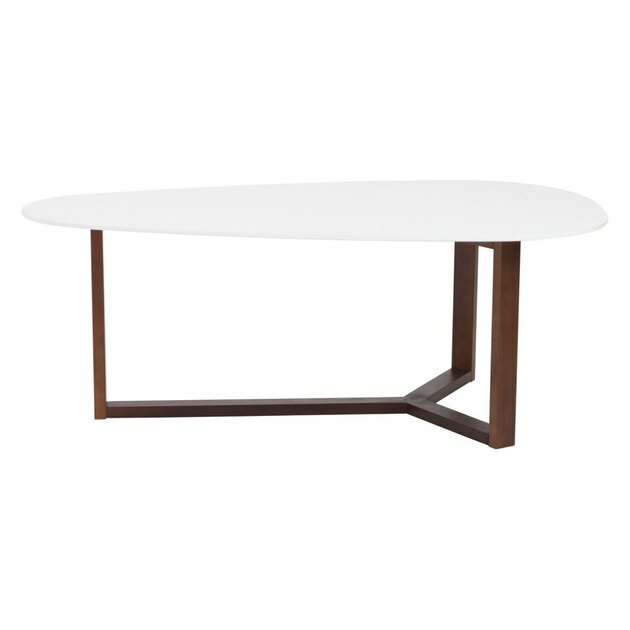 Be the envy of your coworkers with a sleek coffee table like this one if your luxurious corner office. 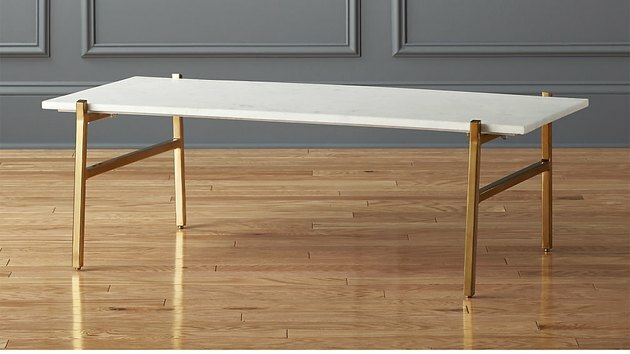 We love this table for the sculptural interlocking wood base which elevates this from an ordinary living room item to a piece of art. The tempered glass plays second fiddle to the masterpiece happening under the surface. Keep this table free of clutter and let its craftsmanship shine. 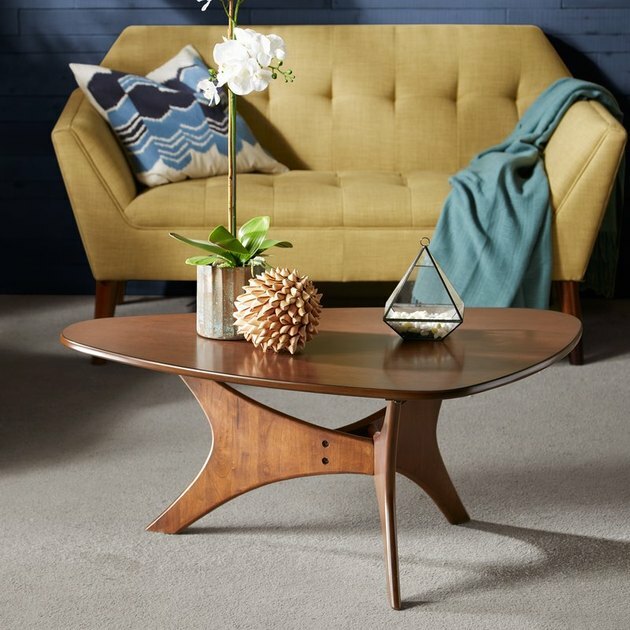 From the asymmetrical leg design to the unique shape of the surface, everything about this coffee table is one of a kind. This table connotes all sorts of groovy, retro vibes and we're digging it. The glass top creates the illusion of open space, and the table's small size is perfect for a studio or any home with a smaller living room. The dark wood finish on the legs connotes a strong, masculine finish but the glass top and round shape counterbalance the design with daintier elements. 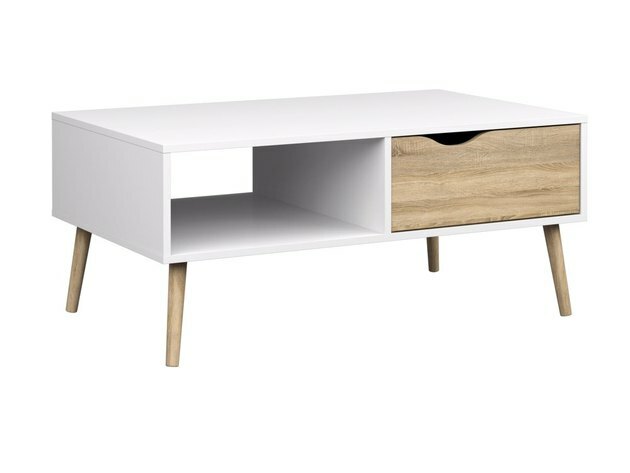 The best part about this table is the open storage shelf underneath which is perfect for a large, family home or anybody who needs to hide some clutter in their living room. 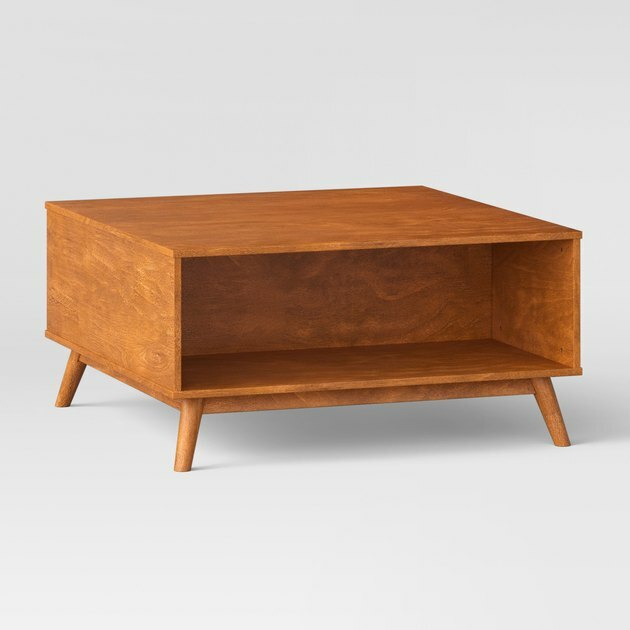 A table like this one pairs well with an oversized sofa. 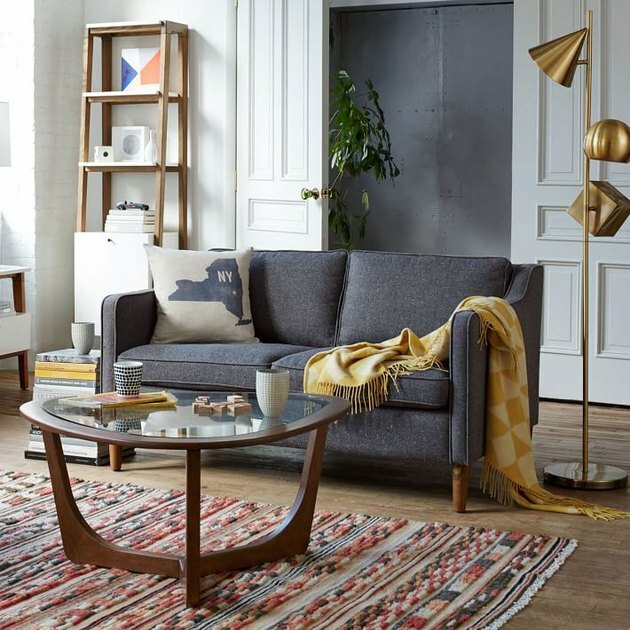 The great thing about nesting tables is there's more bang for your buck. These two tables can be tucked neatly under each other or used separately. As a bonus, the larger table has a blush pink perimeter, while the smaller nesting table features a pale aqua blue rim. 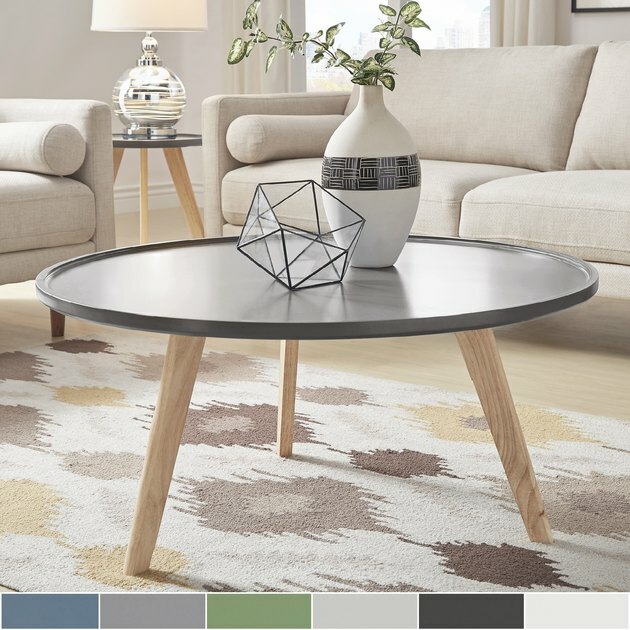 This two-tone coffee table pairs well with a shag carpet and low-slung sofas, while the drawer is great for hiding remotes and DVDs. 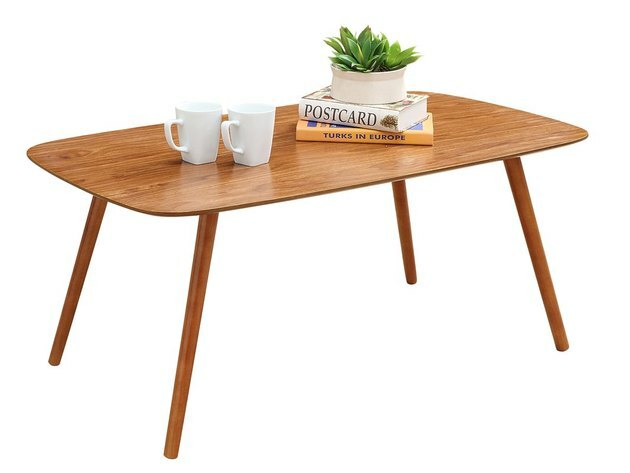 A small, asymmetrical table like this one is fun and playful and perfect for your first foray into midcentury style. 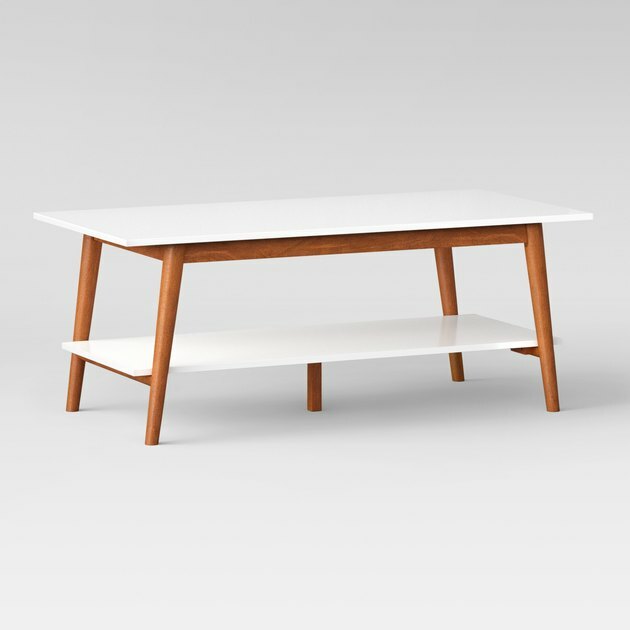 This table is petite enough to not overpower a love seat or other smaller sitting areas. Fun fact: Target was born at the same time that midcentury style was booming, which makes it the perfect retailer to shop this look. This dual surface table is both structurally fascinating and convenient for storing books, candles, or the daily paper. This beauty is an elegant fusion of marble and metal which makes it suitable for transitional styles and perfect for all-white modern rooms. The marble surface gives it a sturdier and more dominant presence and truly earns its place as the centerpiece of the room. 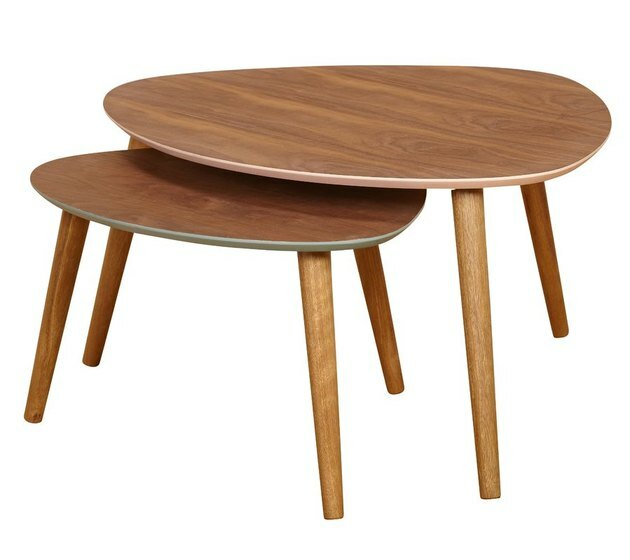 While midcentury style tends to stay in the realm of dark woods and warm earthy tones, this round tray-style table top is a sleek addition to the style and brings a touch of light to any room. 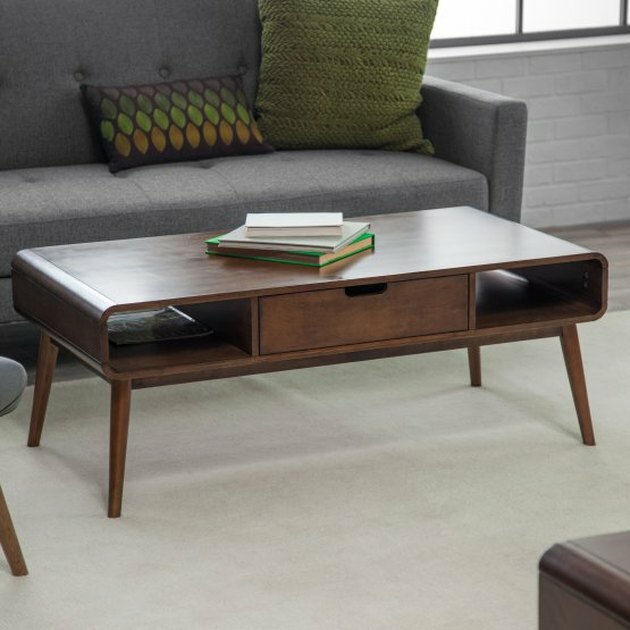 The best thing about this table is that one side lifts up and functions as a serving tray, perfect for a cozy night in enjoying a TV dinner from the comfort of your couch. If you chose not to utilize the lift portion, it's still a gorgeous and classic midcentury shape.